BeatStep Pro lets you have control of virtual devices, analog and digital instruments, drum machines and iPad apps all at once. 16 Projects are accessible, each of which contains 16 sequences per melodic sequencer and 16 patterns for the drum sequencer. Each melodic sequence can be up to 64 steps long with individual articulation of pitch, velocity and gate time per note. 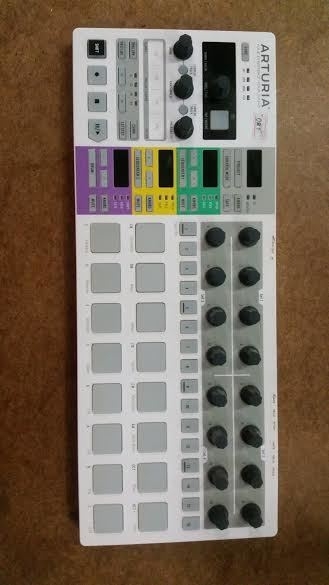 The drum sequencer has 16 separate tracks per sequence (one per pad).